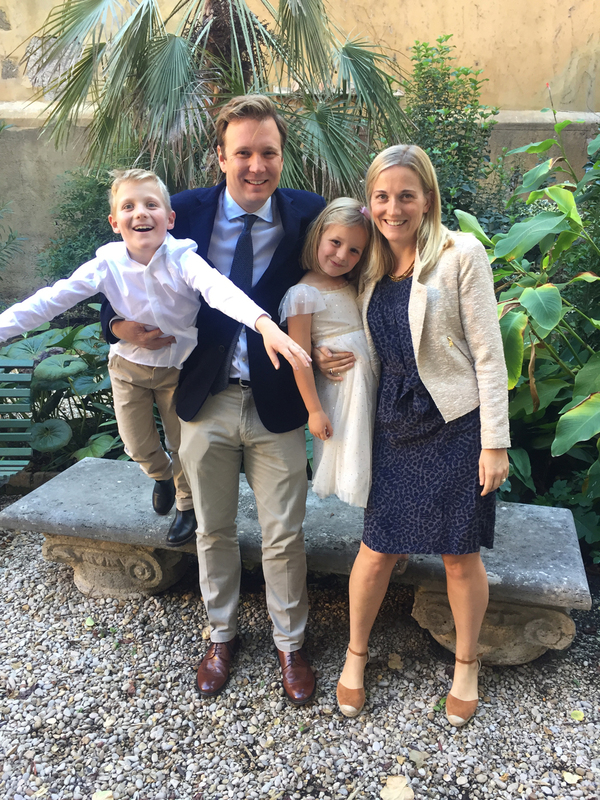 Isabel Lamb moved to Rome three years ago with her husband Christopher and their children, Joseph, 8, and Martha, 5. 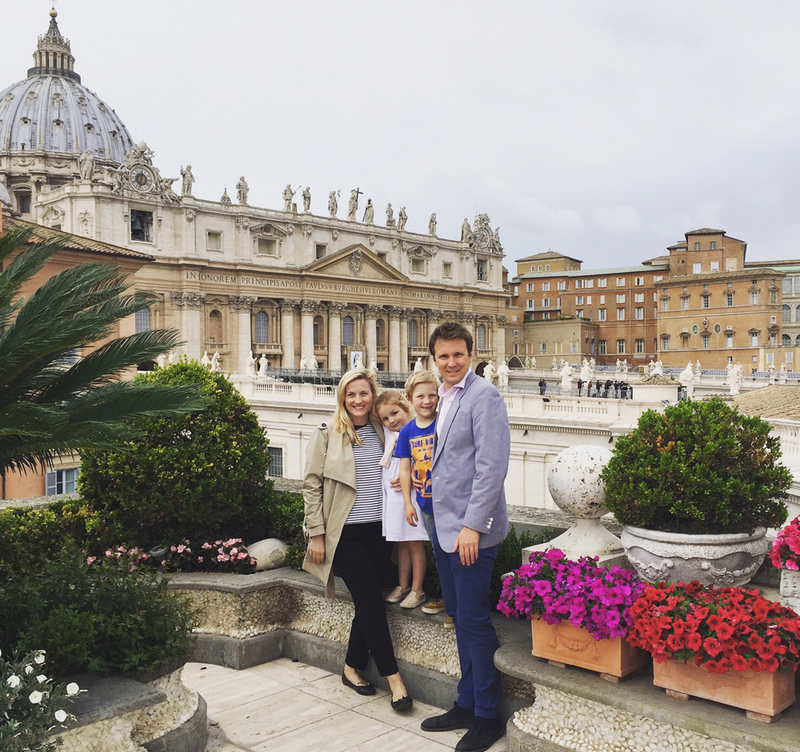 The family relocated from London for Christopher’s job as a journalist reporting on the Vatican and Rome. Isabel now runs The Little Grand Tour in London and Rome, a company introducing children to art with fun and unique gallery and museum visits. 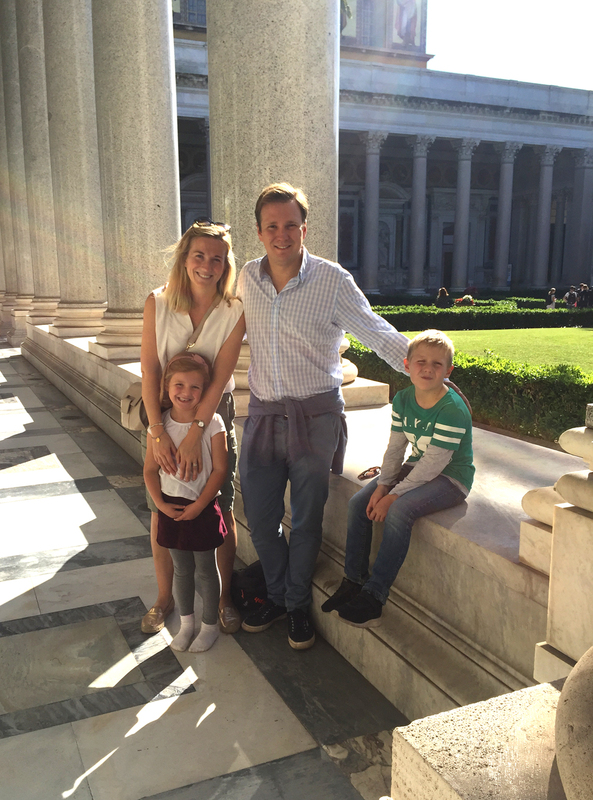 Here are some of Isabel’s tips to explore and enjoy the Eternal City with children. Rome is a great city break both with and without children, but it has to be well planned in advance as with any city, it can be difficult to navigate especially with little feet. Here are my top tips to making your holiday one to remember! • Pierluigi –This restaurant has become much more upmarket in recent years playing host to celebrities and royals but still has so much charm, with helpful staff and a fantastic wine list. Pierluigi is a treat for the family and if it’s a nice day it’s a great space to eat outside, especially for children with itchy feet as there is a lovely car-free piazza to play in. Not to mention the sublime Italian cuisine on offer! • Roscioli — On two sites next door to one another, both café and restaurant are famous in Rome for good reason. The café has bitesize morning brioche sandwiches and cornetti to compliment their seriously good coffee. It’s a stand at the bar affair with a small space in the back; good for takeaways. The restaurant is so popular you must book, with the best Carbonara in town this is a mouth watering experience. • Dilla — If you still want the traditional Italian dining experience but with a more modern twist then this is your place. In a fabulous location, Dilla delivers Roman delicacies with a contemporary edge. Sitting outside in the cobbled streets behind Piazza Spagna, it’s a fun atmosphere and great for people watching. I still dream about their deserts and will be back once its warm enough to eat al fresco again – you can eat inside of course too. Their sister café, La Buvette, round the corner is another great place for coffee or brunch. • Ginger It’s easy to overdo the carbs in Rome so Ginger is a perfect break from pizza and pasta. Fresh salads, centrifughe (or smoothies) and their signature steamed baskets with a whole host of healthy ingrediants inside! The fresh interior is also easy on the eye and happily reminds me a bit of Daylesford Organic. • Saïd — Both a café and restaurant Said is a gem of a place tucked away in edgy San Lorenzo. Primarily for chocoholics the café serves up every type of chocolate delight under the sun. From liquid chocolate drinks to cake to biscuits and truffles, the theme is proudly cocoa. There is also a restaurant at the back which serves up delicious Italian home cooking. • Colbert — People think you have to pay to get into this restaurant but you don’t. It’s on the 3rd floor on the Villa Medici above the Spanish Steps. You walk past the guards and say you’re heading to the restaurant. Yummy food at a sensible price considering the location. Colbert has an incredible view overlooking the whole of Rome. You can also enjoy your food and drink in the lemon tree filled garden at the back in warm weather. The grass is great for children and its well contained for any wandering toddlers. • Palazzo Doria Pamphilj — A unique art gallery in Rome which is also still home to the Pamhilj family. This ancient Palazzo is a stones throw from the Pantheon (another must see! ), and impresses with its stunning Gallery of Mirrors and ballroom with intricate silk wallpaper, where you can close your eyes and imagine the wonderful parties still happening today (Valentino and Sofia Coppola threw a huge bash here a couple of years ago). It also houses their private art collection: Caravaggio is here plus Lippi, Bernini, Carracci, Breughal and their piece de resistance Pope Innocent X (a Pamphilj himself) by Velasquez. This is both a peek into a family home and also a visit to a superb art gallery…2 in 1 what more could you want! I also find it never too crowded if you go early in the morning..it opens earlier than most places in the city at 9am. Open 7 days a week. 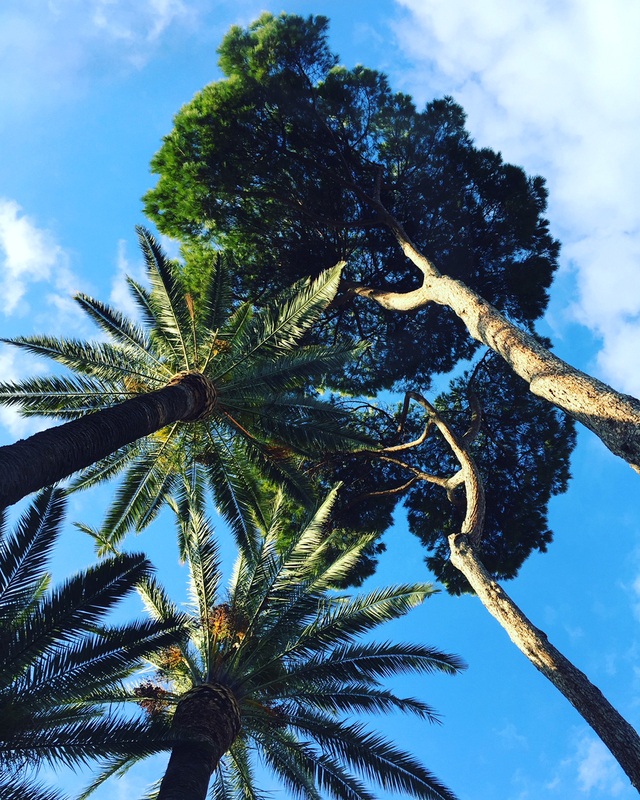 • Ludoteche Amelie — If you want an hour or two to enjoy a child free coffee (head straight to the loveliest courtyard at Hotel de Russie to indulge!) you can take your children to the wonderful Ludoteche Amelie. Here you can pay per hour for childcare plus entertainment. It’s small, safe and has wonderful (English Speaking) young staff on tap. Role play, dressing up, arts and crafts for all ages up to 8. It’s a mini indoor play area conveniently located just off Piazza del Popolo. It’s been a lifesaver for many a friend with a toddler wanting a breather. • Chez Dede, Via di Monserrato 35 — A wonderful concept store, which in Rome, are not plentiful. Selling gorgeous Astier de Villatte tableware, John Derian paperweights, the latest issue of Cabana Magazine, one off pieces of clothes and jewellery, with a little bookshop adjoining, this place is the brainchild of Daria Reina and Andrea Ferolla. 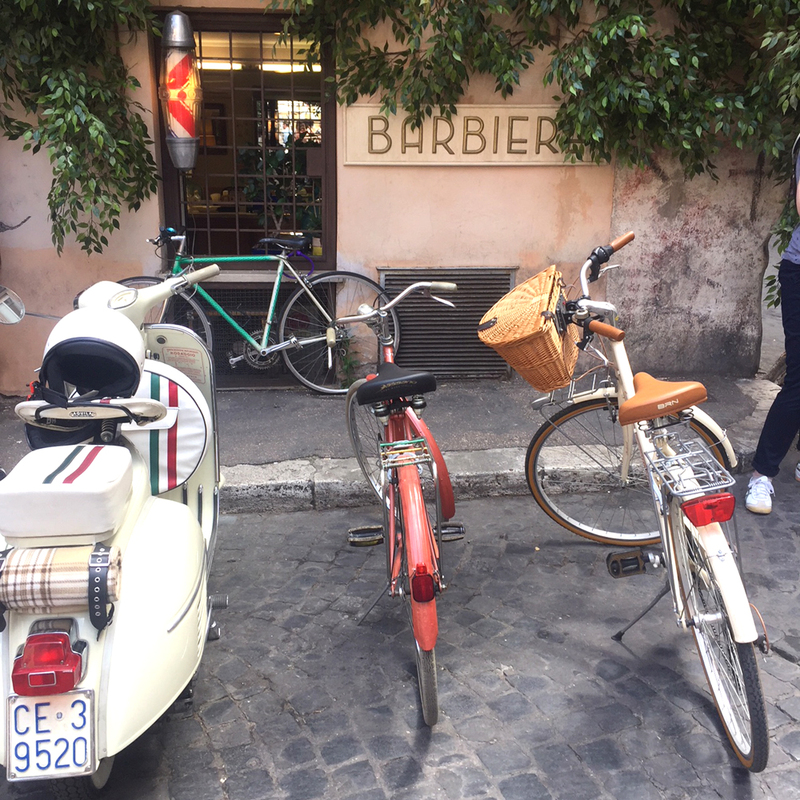 It’s a great place to browse and in one of the most quintessentially Roman back streets in this part of town, its nearby Campo di Fiori and opposite Piazza Navona. 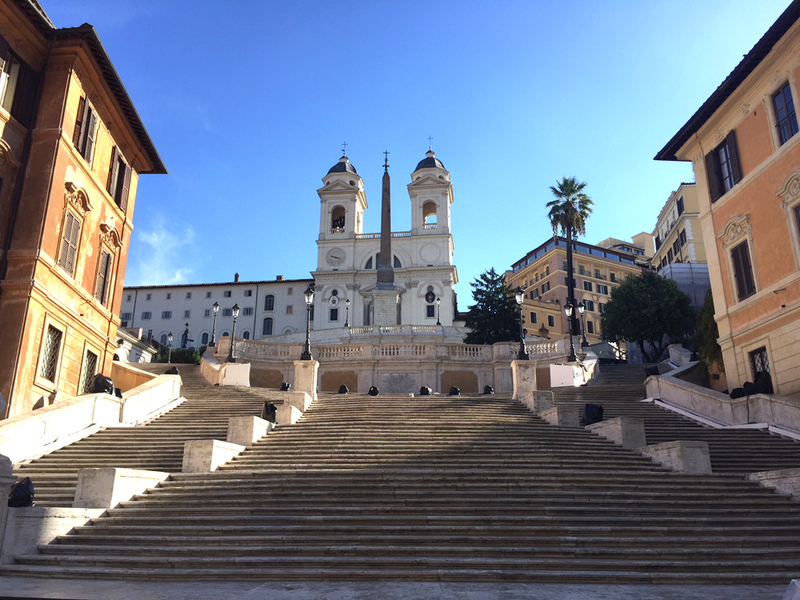 After a visit to Chez Dede stumble into my favourite Piazza in Rome – Piazza Farnese, at the far end of Via di Monserrato. Enjoy a coffee in the square and take in the beautiful fountains and architecture. • Citta Del Sole, Via della Scrofa 65 — This is a lovely toyshop, part of a handful dotted around Rome ensuring there’s one to bump into in an emergency (! ), and is the go to for presents and pit stops with children. Selling all manner of toys for all ages, it’s the best place to buy toys in Rome. Helpful staff make this a lovely experience! • Marioluca Giusti, Via Vittoria, 37 — If you want something light, easy to pack, unbreakable and Italian to bring home as a tasteful souvenir, look no further than the colourful synthetic crystal range of household items by Marioluca Giusti. From glasses to pineapple ice buckets, it’s difficult to leave without buying something! 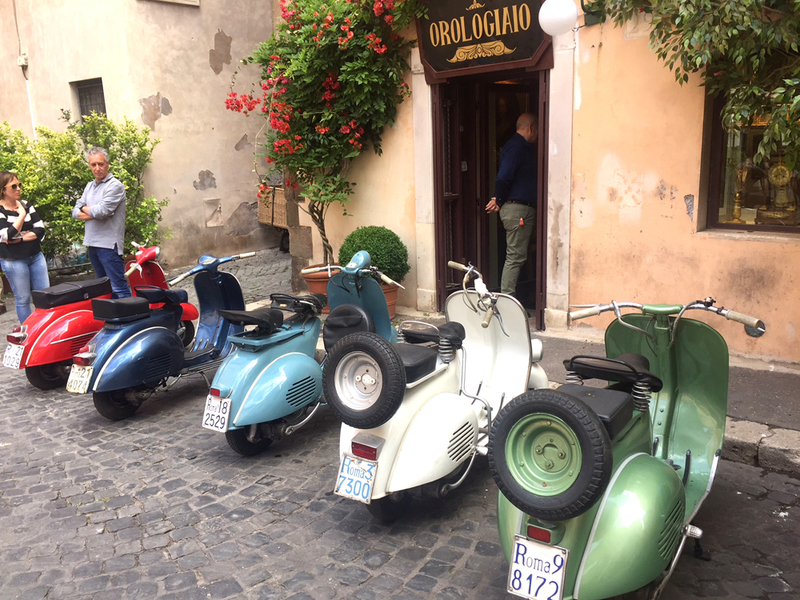 • LOL, Via Urbana, 92 — This little shop in Monti, an area which is increasingly popular near the Colosseum, is a local treasure. Hidden away, you might not discover it unless you had the address, LOL has some great women’s clothes and jewellery. I love their coloured glass beaded necklaces, and they have some great swimwear during the spring and summer months. Carefully selected, the shop is carefully curated so not overwhelming. A good place to treat yourself during your Roman holiday. This street and Monti in general is a great place to wander and slip into other one off shops. I also love the Candle Store (Via Urbana, 21)! • Max Mara outlet – via Tiberina Km 18, Fiano Romano, 00065 — Half an hour from Rome you can find Diffusione Tessile. You can even taxi here if you don’t fancy hiring a car. It may be worth the cost as here you can find a shopping experience which is light, bright, and full of Max Mara labels at cut price! You can go further afield of course to other designer outlets but personally I love this shop as it has everything from clothes to shoes to accessories and you can find incredible bargains. • Piazza Pasquale Paoli (OneFIneStay) — OneFineStay opened in Rome in September 2015 and I helped style the interiors of some of their first accommodations. This is a wonderful example of just one of their many Roman properties ticks off location, high ceilings, affordable luxury and a concierge service should you need it. • Hotel Adriano — I love this little hotel in the best location right bang in the Centro Storico. It also has the best hotel bar if you like a Gin & Tonic. It’s certainly affordable at mid-range prices but has a feel of a boutique hotel. To make the most of Rome the key is to stay in the centre if possible. All the walking will make you need a well-earned siesta! 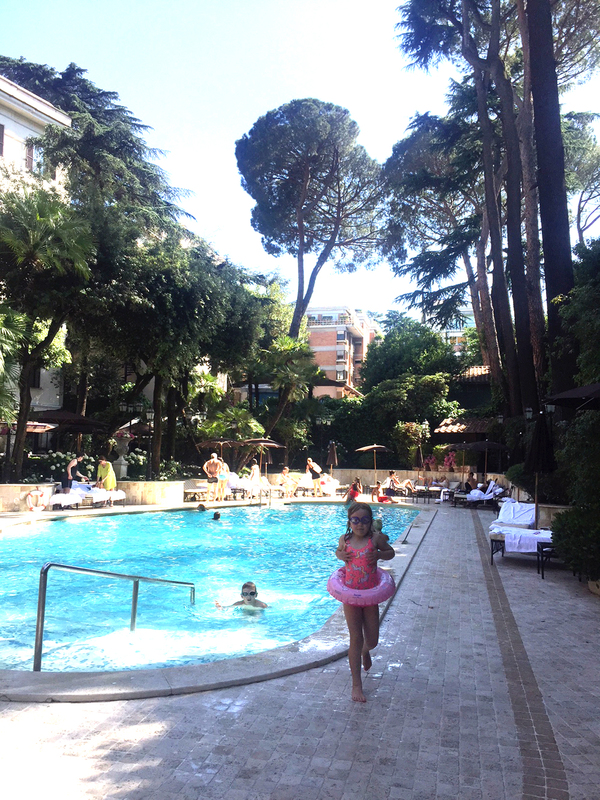 • Aldrovandi Hotel (with the best outdoor swimming pool) — The Aldrovandi is a stone’s throw from the Borghese Gardens and not as central as the others but it more than makes up for that as if you are visiting in the heat. You’ll need this oasis of calm. It has a luscious garden with wonderful outdoor pool, helpful staff and a great breakfast. On occasion we’ve visited friends staying at the hotel and used the pool – a great escape from the hustle and bustle of Rome. Download this app to book taxis in the same way you would in Uber in the UK. Uber doesn’t work well in Rome and neither does hailing taxis. You either have to book one with this app or go to an actual Taxi rank which are in most central locations. • Stop for coffee (often! )/ apperitivi breaks to take the edge of walking and sightseeing! • For great Rooftop views head to the new Rinascente on Via Del Tritone. A pick of 5 restaurants and a beautiful vista. • Pizza & Ice Cream on the go – always the best treats (quick and cheap) for kids in between visits to museums and churches. Gelato everyday on a Roman holiday is bribery for any tired feet! Orvieto — If you have a spare day to play with on your Rome holiday, Orvieto is only an hour away on the train, and it has, in my opinion, the most stunning Cathedral in Italy. The stripy simplicity of the basilica is just astounding. The hilltop town itself has good restaurants and a scattering of lovely shops. It has become slightly more touristy in recent years but don’t let that stop you. Sitting in the in the main Piazza, drenched in sun sipping on either a cappuccino or a Spritz depending on the time of day, has to be one of my favourite out of town experiences. Go! Sperlonga Beach — When we arrived in Rome, people told us the easiest beach day trip was to go to Santa Marinella (1 hour train ride), which we did a few times. Although the beach is lovely the actual town is not picturesque. For an extra 15 minutes you can go further afield to Sperlonga, a beautiful, clean and pretty seaside town. Swimming here is delightful, a gradual sandy descent into a clear seaweed free sea makes it a children’s favourite. Not to mention the best seafood restaurant called ‘Cucina Io’, with wooden tables scattered under a shady tree right on the beachfront. This is such a beautiful guide to Rome, thank you Isabel!